CEE GEE'S Auto Recycling specializes in all Ford auto parts, concentrating on late-model salvage 2000 models and newer. 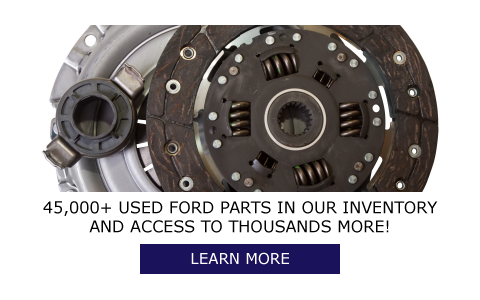 As Ford specialists, we also carry many pre-2000 parts. If there’s a specific part you need, just ask. 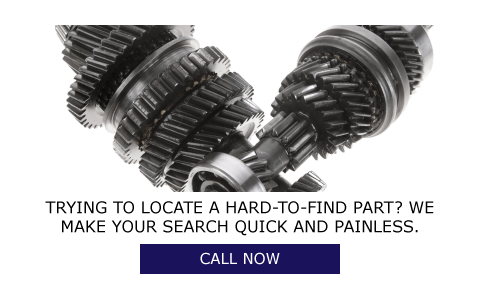 You can be assured that you’ll receive only quality-tested parts when you deal with us. Proudly servicing the Lower Mainland and shipping daily all across British Columbia, Alberta & Saskatchewan. In January 1980, CEE GEE'S Auto Wrecking was started by partners Cliff Porter and Glenn Robertson. CEE GEE'S got its name from the first letters of both of the partners’ names. Prior to their partnership, Cliff and Glenn both worked in the body shop trade at Richport Ford as manager and shop foreman for over 10 years. In December 2003, they both retired after working together successfully for over 35 years. Today, CEE GEE'S is owned by Glenn’s son, Derrik Robertson, who has 37 years' experience in the industry — all at CEE GEE’s. Alongside Derrik, Counterman Matt Nicholson has 17 years of experience in the auto recycling industry with the last 12 years at CEE GEE'S. Four of our employees have completed an automotive airbag recycling course and are trained to deal with recycled airbags. Every Employee at CEE GEE'S is a Certified Automotive Recycler through the ARA. When you come to CEE GEE'S you know you'll be dealing with experienced, knowledgeable and friendly service. Derrik has helped grow the business from a small two-man operation to eight full-time employees. At CEE GEE'S Auto Recycling, we deliver safe, guaranteed auto parts for all your needs. For more information or to obtain an estimate, please give us a call at 604-321-0888! CEE GEE'S Auto Recycling is a proud member of the Automotive Recyclers’ Environmental Association (AREA), and owner Derrik Robertson has completed the AREA’s course on the British Columbia Auto Recyclers' (B-CAR) code of practice. We are also proud members of the Automotive Retailers Association (ARA), the Automotive Recyclers of Canada (ARC) and the Switch Out program, also known as the Mercury Switch Recovery Program.